IT ALL STARTED WITH A QUESTION: "CAN WE GROW RARE FLAVOURS FROM AROUND THE WORLD IN THE HEART OF THE MIDDLE EAST?" Badia Farms is starting a farming revolution in the UAE with the GCC’s first indoor vertical farm. 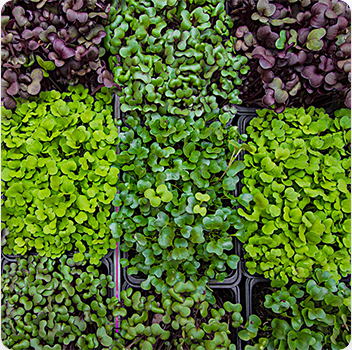 We have a growing reputation for supplying the finest micro-greens and herbs to Dubai’s top restaurants, caterers and chefs. Our mission is to close the gap between the farm and the chef’s kitchen. Our passion for fresh, locally grown produce is what drives us. And the demand for gourmet leafy greens all year-round is what has inspired us. We have planted the seeds for something quite different at our farm near Downtown Dubai. Using the latest hydroponics technology, we are growing delicious, nutritious micro-greens and herbs without sunlight, soil, or pesticides. Our revolutionary farming methods use up to 80 percent less water, they are energy-efficient and sustainable. Everyone knows that homegrown produce is fresher, and quite frankly, tastier than imported goods. But, with Dubai’s harsh desert climate, it hasn’t been easy to stay true to our roots. Named after the Arabic word for ‘oasis’, Badia Farms is bringing a green hub to the heart of one of the world’s most dynamic yet agriculturally challenged cities. We are the first in Dubai to supply gourmet greens to restaurant kitchens on the day they are picked. And our ultimate goal is to put the UAE on the map as an upscale fruit and veg producer. By joining the farming revolution, we are meeting the demand from Dubai’s top restaurants for fresh and natural food. 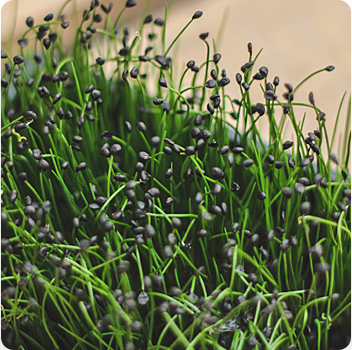 We specialise in growing micro-greens and herbs that are hugely popular with gourmet chefs. While crops are regularly imported into the UAE, transportation takes its toll on their taste, aroma and appearance. At Badia Farms, we grow fresh culinary produce 24 hours a day, 365 days a year. Our produce is harvested just hours before it reaches the kitchens of five-star hotels and restaurants. We pride ourselves on delivering ingredients that are bursting with fresh and full flavour – and meet the expectations of the most-high profile chefs in the region. We believe in harnessing nature – not nasties – and all our produce is free from harmful chemical pesticides, insecticides and herbicides. Because it’s grown naturally in a sterile, soil-free growing environment, we believe it tastes better too. More than 300 pesticides can be used in traditional farming methods, and some have been linked to serious health conditions such as cancer and Parkinson’s Disease. However, the hydroponic methods we use at Badia Farms completely remove the need for any kind of pesticide. 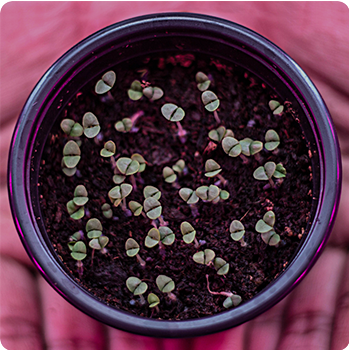 Our quest for quality starts with a seedling. We then control every step of the farming process to ensure that our produce is fresh, delicious, and packed with nutritional value. Our roots are grounded in Dubai. Being from the region, we are proud to have chosen the UAE as the launch pad for our project. We have set up our farm in this fast-growing city so that we can deliver the freshest, tastiest, and most nutritious produce direct to the kitchens of the most discerning chefs in the region. There’s a growing interest in the provenance of the food we eat. At Badia Farms, you and your customers will know exactly where it came from. Growing more whilst using less. We believe in protecting the planet that feeds us, and farming for a brighter future. That’s why at Badia Farms we only use the most advanced urban farming methods to save resources and reduce food miles. Our hydroponic methods use 80 percent less water than open field growing, and because we recirculate our water there’s no wastage. Our vertical farm uses less land space to deliver a higher yield. And our soil-free growing methods are helping to protect precious soil resources.